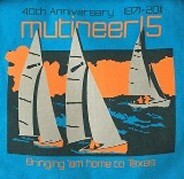 Sweet Home Alabama is home to Mutineer Fleet 34. 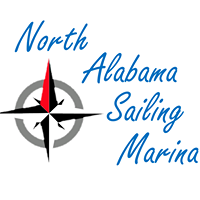 Come join us for some great southern sailing! Contact Fleet Captain Tate Beckham, tate.bechham@charter.net, to join up. 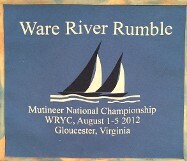 Tuscaloosa Sailing Club held the last Southeastern Mutineer Championship many years ago when the first national Mutt group was around. Funny thing is that there were two Mutt groups in Tuscaloosa. One at the now defunct Tuscaloosa Lake Yacht club (23 I think) and one at Tuscaloosa Sailing Club (Fleet 34) both had about 10 mutts each. 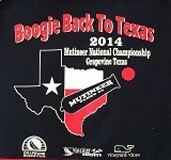 They competed against each other and the Southeastern Mutineer Championship grew out of this. 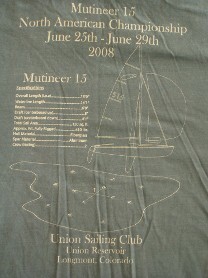 I got into Mutt sailing in 2000 having down sized from a boat I kept at the coast. I joined TSC and decided to resurrect Fleet 34. 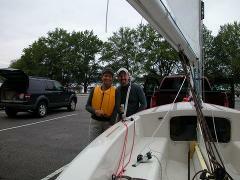 We ended up with 5 mutts and started sailing against each other in the club races. 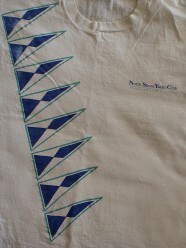 TSC soon started to attract Mutt sailors from other areas in Alabama and from other States. I decided that it was time to bring back the Southeastern Championship. I wanted it to be more than TSC and so set up a system that would recognize any regatta where the Mutts fleeted. This became the new Championship. 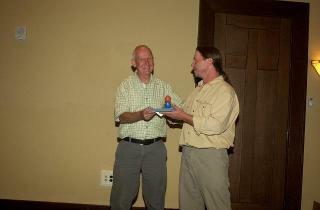 I named the award the Gordon Brookfield Cup, due to all he did to help TSC Mutts and others in the area. 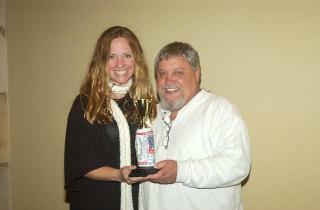 We had the first championship in 2008 and Jim and Margaret Davis won. They won again in 2009 by one point. In all, there were 14 people getting points in the championship in 2009. 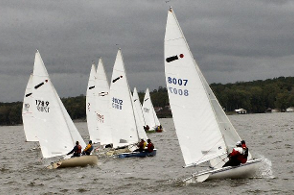 Fleet 34 decided to continue with the multi regatta scoring system for the future. The Alabama Championship is much the same. I started it in 2003 for Alabama sailors and opened it up in 2008 for any sailors competing in the Mayor's Cup and Govenor's Cup at TSC. 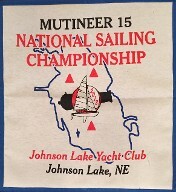 At the start, it was only open to Mutt sailors from Alabama participating in regattas with the winner being the Captain with the most wins. 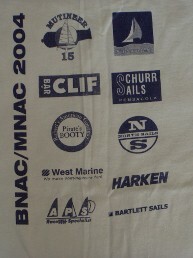 From 2002-2005 TSC had 4 regattas a year. 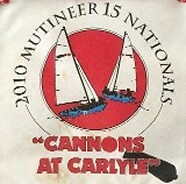 In 2006 and 2007, I was too busy to organize the event due to promotion of Mutt sailing at the club and around the State. It was great at first but then lost some of the appeal due to not enough competition. In 2006 we expanded Fleet 34 to cover the whole State of Alabama. 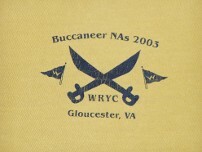 When the regattas expanded to include a steady number of boats from other states it only made sence to allow these sailors to qualify for the award. 2009 Hunter Riddle and Kat Smith.